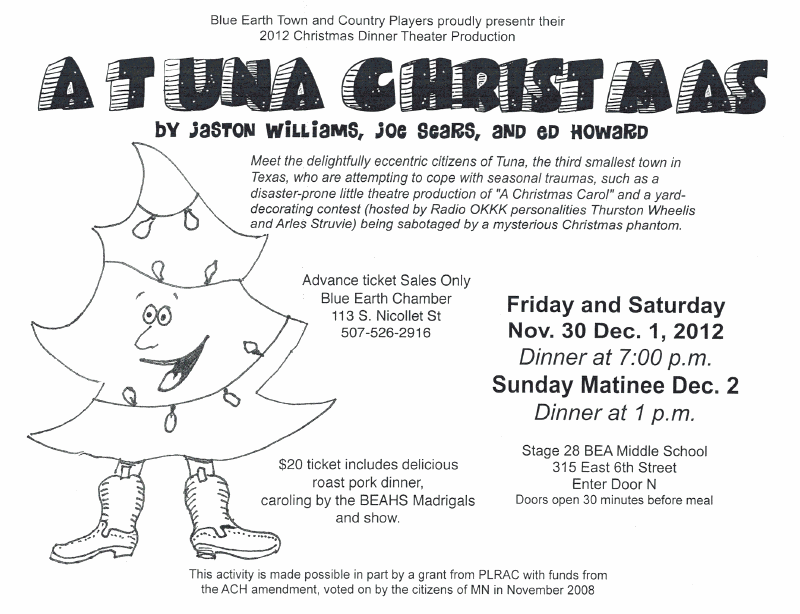 Tickets for “A Tuna Christmas” are currently on sale at the BE Chamber Office during regular business hours. The $20 ticket includes hot wassail, full roast pork dinner, Madrigal serenade, and, of course, the two-act comedy. Can’t get to the office—call 507-526-2916 to reserve your tickets. 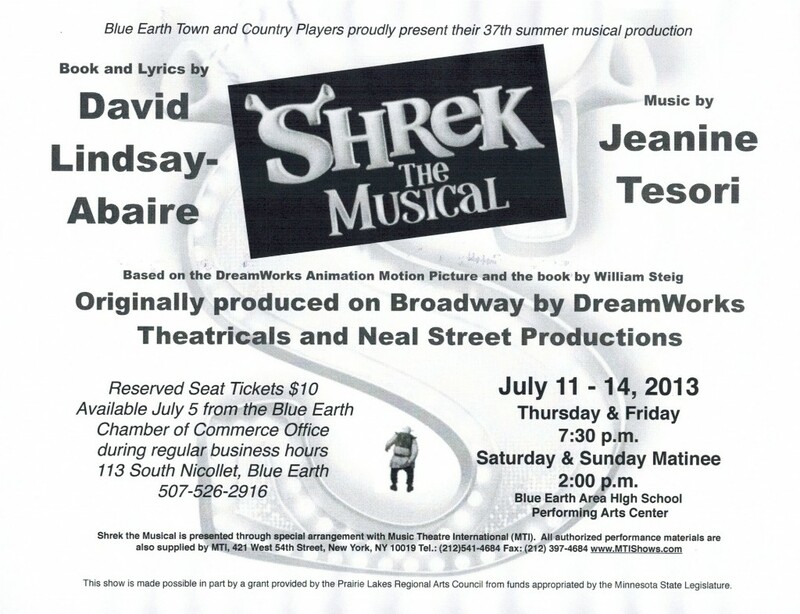 Show dates are November 30 and December 1 at 7 p.m. and December 2 at 1 p.m. 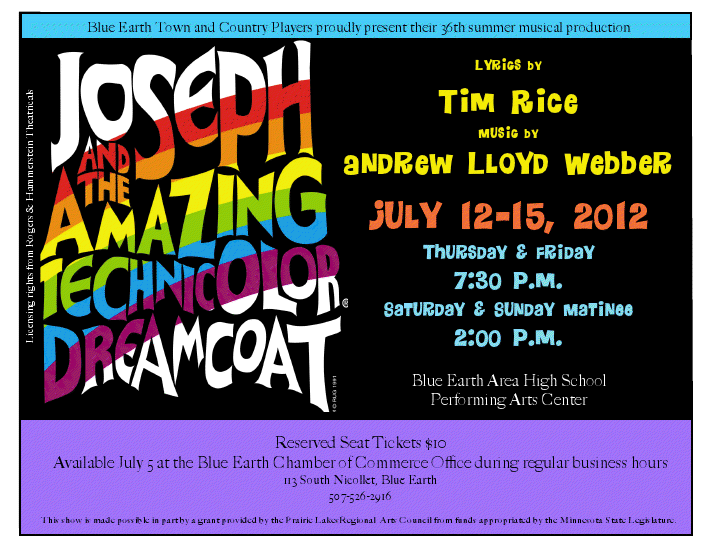 This is one show you don’t want to miss! 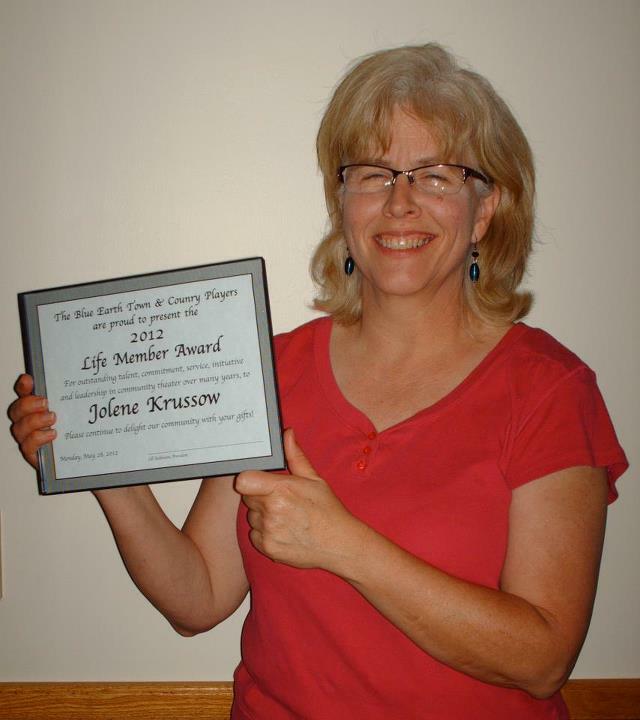 Congratulations to Jolene Krussow, this year’s recipient of our Lifetime Member Award! She has played violin and piano in many pit orchestra for both summer musicals and winter dinner theater productions. Congratulations, Jolene!